The town of Pouilly and the town of Fuisse are located next to each other to the west of the city of Macon. 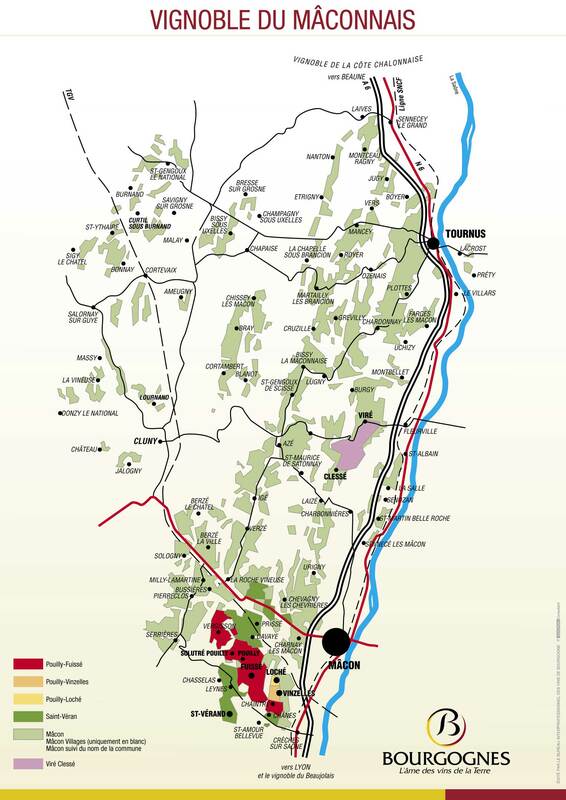 Wines made in these two towns are simply labeled, Pouilly-Fuisse. They are probably the most famous wines from the entire Macon region. But we carry only 1 Pouilly-Fuisse wine in our portfolio because it represents such high quality in an area that has a lot of very mediocre wines. To further emphasize the quality of our Pouilly-Fuisse, please note that it is a single-vineyard wine. Please call us to learn more about our Pouilly-Fuisse Wines and their availability.